Like their architecture, the fittings of the three buildings along Finnländische Straße are characterised by their urban environment, and feature unique, contemporary designs. The architects at Bruzkus Batek embrace breaks and contrasts, creating spaces with a personal atmosphere, which the residents can fill with life and fit out as they wish. The projections and recesses accentuate the façades with materials like reinforced concrete, metallic mesh and wood panelling. The interior on the other hand displays warm, classic surfaces like parquet flooring and natural stone tiling. A contrasting fusion of look and feel give the buildings by Bruzkus Batek their very own unique character, and one not found anywhere else in Prenzlauer Berg. 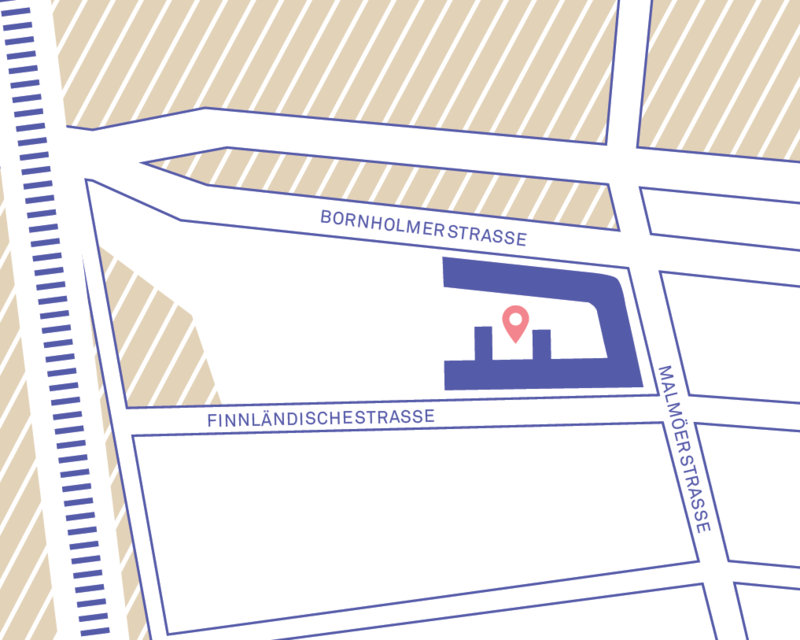 Klaus Theo Brenner – Stadtarchitektur deliberately chose a classic, timeless design for the façades of buildings 4 to 9, which continues through to the interior, with a flair for colours, shapes and high-quality materials. Wooden windows, parquet flooring, and tiling , classy bathroom fittings and an open-plan kitchen and living areas create a pleasant, homely vibe. 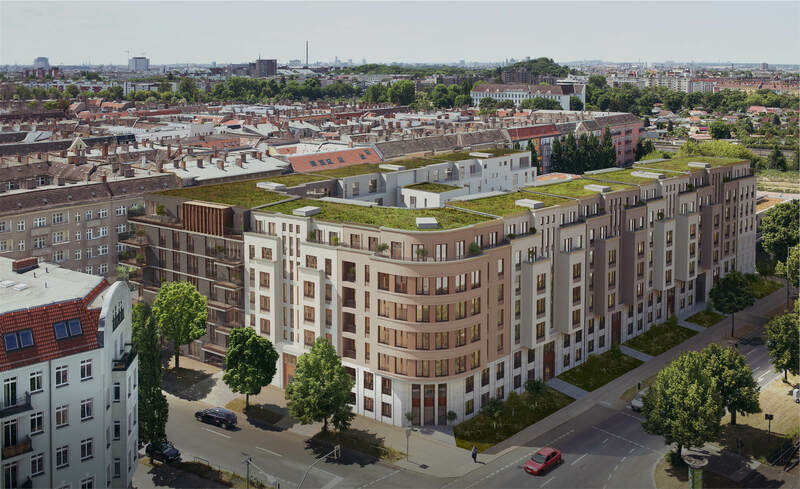 All freehold flats have loggias or balconies, while the penthouses feature spacious south-facing terraces overlooking the beautifully landscaped courtyard , and the famous “Bornholmer Brücke” in the north.